Our Essen newsroom also is a book store. 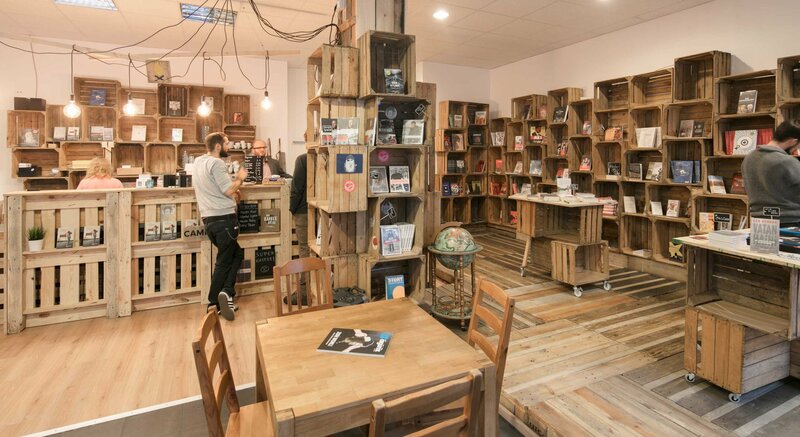 Here you will find great coffee, encounters and books. For example, bookzines and graphic novels published by the CORRECTIV publishing house. We’re inviting everyone to visit our bookstore at Akazienallee in Essen, to have a good time and to meet us. You can read books and comics and have great coffee. We have a selections of non-fiction books and we’re offering to use our space to social initiatives for meetings and discussions. Find our events on our event page (in German)..